Filatov, S. V., Parfenyev, V. M., Vergeles, S. S., Brazhnikov, M. Y., Levchenko, A. A., & Lebedev, V. V. (2016). 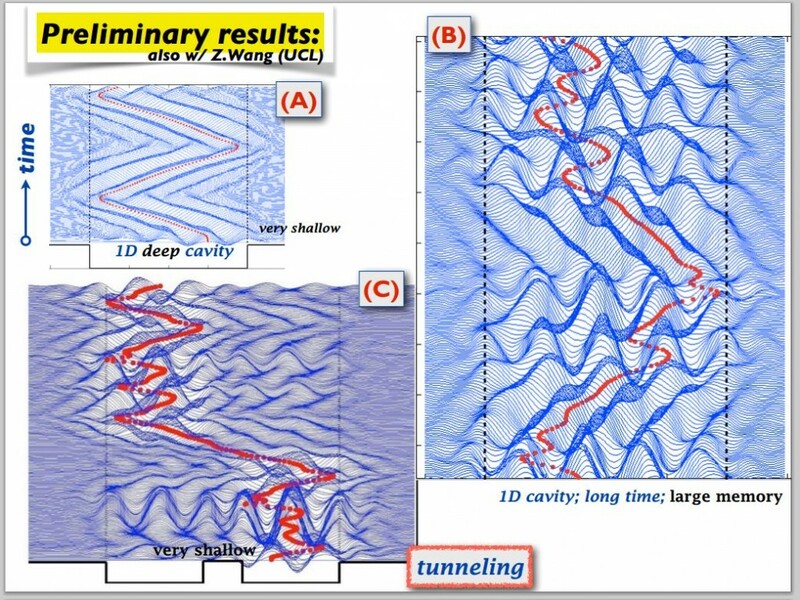 Nonlinear Generation of Vorticity by Surface Waves. Physical review letters, 116(5), 054501. 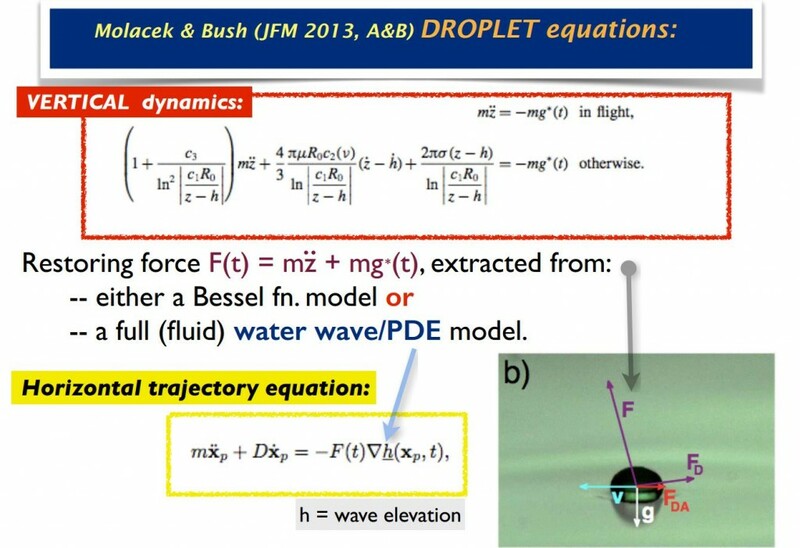 We demonstrate that waves excited on a fluid surface produce local surface rotation owing to hydrodynamic nonlinearity. 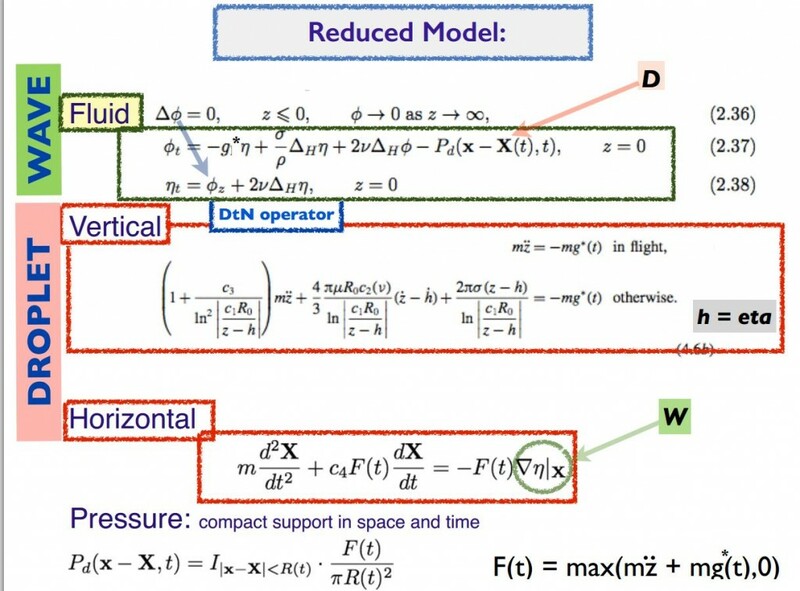 We examine theoretically the effect and obtain an explicit formula for the vertical vorticity in terms of the surface elevation. Our theoretical predictions are confirmed by measurements of surface motion in a cell with water where surface waves are excited by vertical and harmonic shaking the cell. The experimental data are in good agreement with the theoretical predictions. We discuss physical consequences of the effect. Brandenbourger, M., Vandewalle, N., & Dorbolo, S. (2016). Displacement of an Electrically Charged Drop on a Vibrating Bath. Physical review letters, 116(4), 044501.
bath to discriminate between constant speed and accelerated droplet regimes. Shats, M., Xia, H., & Punzmann, H. (2012). Parametrically excited water surface ripples as ensembles of oscillons. Physical review letters, 108(3), 034502.
ect the oscillon mobility and drive transitions from chaos to order. The shape of the oscillons in physical space determines the shape of the frequency spectra of the surface ripple. 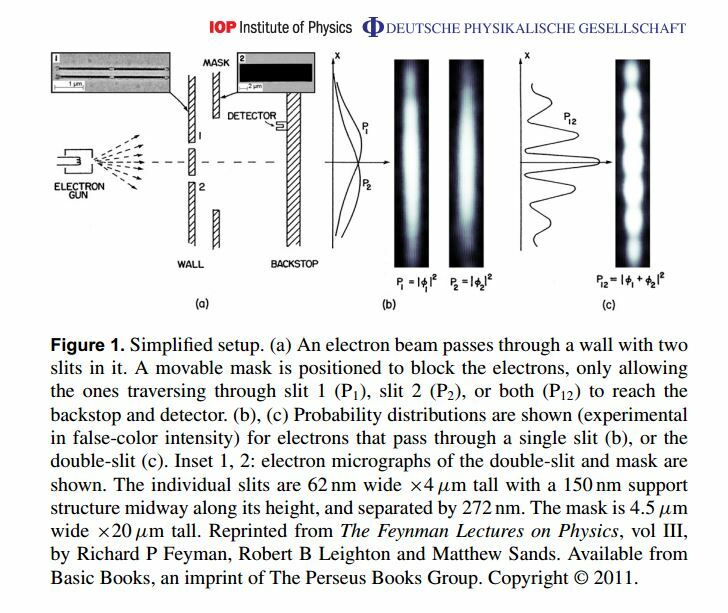 Controlled double-slit electron diffraction : reproduction of the famous Feynman 1965 thought experiment. Bach, R., Pope, D., Liou, S. H., & Batelaan, H. (2013). Controlled double-slit electron diffraction. New Journal of Physics, 15(3), 033018. Crommie, M. F., Lutz, C. P., & Eigler, D. M. (1993). Confinement of electrons to quantum corrals on a metal surface. Science, 262(5131), 218-220. Brady, R. (2013). The irrotational motion of a compressible inviscid fluid. arXiv preprint arXiv:1301.7540. A new quasi-particled called Sonon, which, it seems, can be related to walking droplets. Rajchenbach, J., Clamond, D., Leroux, A., & Dieudonné, Z. J. A. (2013). Observation of star-shaped surface gravity waves. Physical Review Letters,110(9), 094502. Related to the walking droplet experiment beacause the authors vibrate silicon oil. 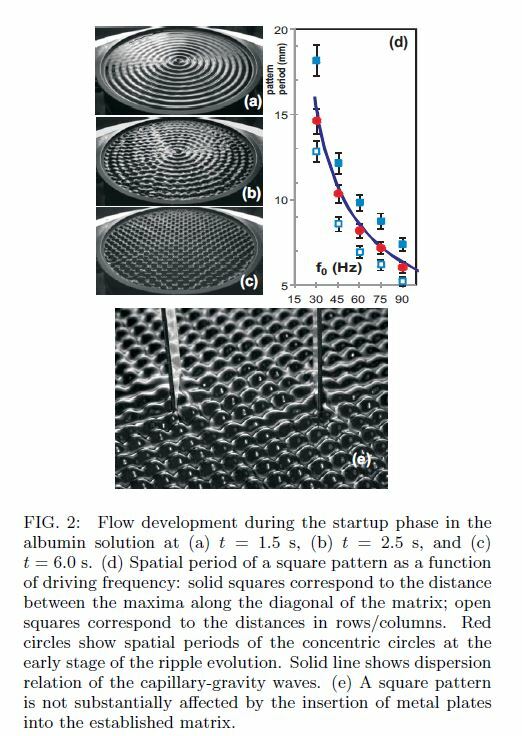 This experiment isn’t about droplet, but it shows full 2-dimensionnal build-up of quantum interference pattern in real time for Phtalocyanine molecules. Moisy, F., Rabaud, M., & Salsac, K. (2009). A synthetic Schlieren method for the measurement of the topography of a liquid interface. Experiments in fluids,46(6), 1021-1036.